Initial Coin Offerings (ICO’s), a new fundraising method linked to crypto currencies such as Bitcoin, have quickly become the biggest form of crowd-funding for start-up companies and projects. 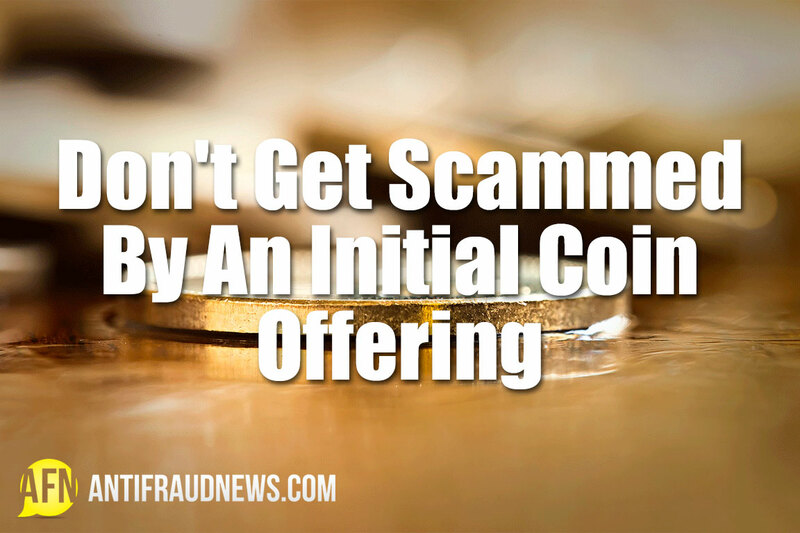 These offerings are unregulated, controversial, and many lead to Initial Coin Offering Scams (ICO scams). According to coinschedule.com, ICOs have made more than $3 billion dollars so far this year alone and of this figure, an estimated third is either cancelled or found to be an ICO Scam. There is much skepticism surrounding ICO’s and many experienced investors recommend steering clear of them – and if you won’t take their word for it, take it from the fraudster, Jordan Belfort, better known as the infamous ‘Wolf of Wall Street’. What Is An Initial Coin Offering Scam? Belfort has claimed that Initial Coin Offerings are the “biggest scam ever”. ICO’s involve a company selling cryptographic tokens instead of shares or raising debt when starting up. These tokens can then be traded separately or back to the company for a service, for example, tokens will allow you to play a game or send a message on a platform. If the service proves the popular the coin is likely to increase in value. However, the absence of legal guidelines in this new and unregulated field has led to many ICO scams. Initial Coin Offering scams work in a similar way to that of Belfort’s penny stock pump-and-dump scheme, which entails a small group of investors buying an asset and driving the price higher by relentlessly promoting it. After the price has risen and more people have bought into the asset, the group will dump it and leave investors holding worthless securities. ICO scams work in a similar way, by driving up the value of coins before ‘dumping’ them for a quick profit. To give you an idea of how quickly such a scheme can happen, look at the new web browser company, Brave, whose initial coin offerings generated $35 million dollars in 30 seconds. There are now around 50 new ICO’s per month. The chairman of the US securities and Exchange Commission believes that pump-and-dump scams are easier to carry out with ICO’s because the trading in of tokens is electronic and largely anonymous, making it extremely difficult to trace and harder to catch the criminals behind it. What makes these ICO scams so much easier to launch in this technological age is partially due to the media excitement regarding crypto currencies. Belfort, as a penny stock purveyor, had to fight for attention whereas now ICO founders garner time on high-profile media outlets and in some cases even celebrity endorsement. Sites such as Twitter have made advertising a novelty currency much easier. “Promoters of ICO’s are perpetuating a massive scam”, says Belfort. He admits that it is likely most people don’t have bad intentions, but if they do it is a ‘disaster’. Unrealistic Goals – People keep hoping that every new crypto currency they invest in will be the next Bitcoin and make them rich – ICO scam projects will often take advantage of this and make very bold claims to try entice investors. For instance if a new company claims their crypto currency will replace Bitcoin, or its value will increase by 100 percent in the price charts, you can probably assume that it is a scam. Even if the project does have that potential, professionals will never make promises like that – a serious team is highly unlikely to make a price prediction. Whitepaper – This will explain how the platform or product will work on the high-level and specifically. It should include charts, calculations and simulations and they usually contain technical specifications for how a product would work. If the whitepaper claims that the project is building a service or token with new features, but doesn’t explain how it works specifically and instead uses high-level descriptions, then it is likely to be fraudulent. No Code Repository – this is what’s important. Use websites like Github or Sourceforge to check that the project is not a clone with a few lines of code changed. The project should provide a link to the code. Team – Check who is behind the project – do they have a history in the crypto currency field? Have they been involved in previous projects? Are they known in any other relevant areas? Though anonymous developers should be scrutinized carefully, anonymity doesn’t always mean scam. Make sure they have a history in Bitcoin community or if you can find them on bitcointalk or even reddit. Do they look real? Check their account activity and when it was created. If there’s nothing on them, stay away. Compromised Escrow – This is very important. ICO’s will usually have an escrow service to hold users funds during and after the ICO – Escrow services hold customers coins until a service or deal is completed. If completed, the escrow can release the payment. If not, the escrow will return the coins to the buyer. To avoid scams make sure at least two of the escrow members are known community members and have confirmed intent to be an escrow for that project, because they will have the ultimate control of the movement of funds. Also check the type of escrow distribution – good conditions should release parts of funds based on developmental progress. China has banned ICO’s and the UK’s Financial Conduct Authority has warned against them due to their fraudulent implications. Even Belfort urges investors to dismiss the current craze of ICO’s. The safest way to avoid being scammed is to avoid ICO’s completely, but if you can’t, use the tips shown above. Stay safe from fraud.